For 31 days every October, pink ribbons and #BCAM hashtags flood our social media timelines with information about breast cancer. That's because key cancer and medical groups declared October as National Breast Cancer Awareness Month over 30 years ago to raise awareness about the disease and to push for increased funding for research. In our study, we looked at how women experienced support during breast cancer treatment. We chose to focus on African-American women because they are more likely to die from breast cancer than all other women in the U.S. We analyzed interviews with African-American women with breast cancer who were previously enrolled in the "placebo group" of a NCI-funded intervention study entitled, "STORY (Sisters Tell Others and Revive Yourself)." In the interviews, we asked the women a range of questions such as "what kind of support did you get from your doctor (and other providers) to help you get through treatment," to "how did the support you received from others make a difference in your treatment decisions." Women also shared how their family supported them in more emotional ways, such as providing encouragement and being present, and tangible ways, such as cooking meals and house cleaning. Some also expressed how helpful it was that their clergy prayed for them and reminded them "God was going to see me through." "(Everyone was) trying to do too much … sometimes you just have to say 'back off, I'm okay'." –Shelly Ann, age 64, 6 years post-diagnosis. What this means for women with breast cancer is that they should be made aware that assistance from others can have a positive impact on their disease. What this means for those who want to support breast cancer survivors is that family and friends should be open to giving different types of support, as suggested by the American Cancer Society and Komen Foundation, such as listening when they want to talk about how they feel, or driving them to a doctor's appointment. 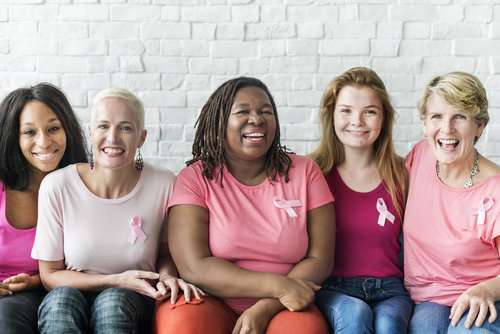 Because breast cancer is not a static event, but rather a journey of physical and emotional changes, there is no "one size fits all" approach to supporting women with this disease. Knowing how best to support breast cancer survivors is an ongoing process of changing expectations and needs based on where they may be in their treatment experience. More research is needed to understand why and how different forms of social support improve breast cancer survival across different groups of breast cancer survivors. In the meantime, let's keep fighting breast cancer through promoting mammograms and by extending a helping hand to those women in our lives with breast cancer.